The Father's Day edition of Sunday Sludge brings wicked memories, slapping us in the face with sludge metal pioneers Acid Bath. A disclaimer is certainly in order; if you're not familiar with Acid Bath or Dax Riggs's incredibly dark and troubling lyrics, leave this page and come back tomorrow. If you've ever heard these guys, you know the term "sludge metal" can never fully encapsulate the experience of this seminal band. 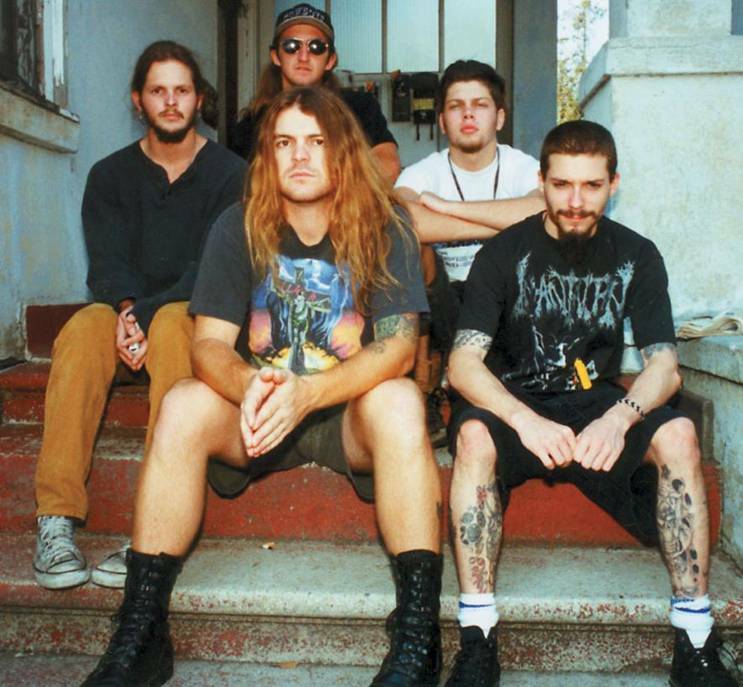 Acid Bath was formed in 1991, producing two albums having polarizing effects on anyone who paid attention. While the band's sound contained elements of grind, doom, goth, blues, folk, country, punk, and grunge, we're highlighting their contribution and influence to the sludge we can't get enough of on a rain-soaked Sunday morning. Acid Bath's cult following can't be ignored, and their brief album catalog is misleading. Sift through When the Kite String Pops (1994) and you'll be greeted with sludge bliss on tracks like "Dope Fiend," "Finger Paintings of the Insane," and "Dr. Seuss is Dead." The album's artwork is unmistakably that of John Wayne Gacy, which likely turned off many distributors and potential fans. But even more troubling than the cover art are the lyrics contained in these fourteen tracks. Death isn't a recurring theme, it's THE theme. Check out the scripts for yourself, because I'm not sharing. This album has no parallel, grinding out more sound than most bands produce in an entire career. The band split after bassist Audie Pitrie was killed, though they released Paegan Terrorism Tactics (1996) just two months prior. Dax continues using dark poetry to paint his landscapes, while Jack Kevorkian's artwork served as their sophomore album's cover. The sludge is still there on this disc, and anyone enjoying the heaviness sliced by today's bands likely owes a great debt to Acid Bath. I can only attempt to excuse and explain these lyrics by illustrating the popularity of horror films containing gruesome scenes; if Hollywood can make our skin crawl with Sissy Spacek and corn syrup, how could Dax worry our parents? Then again, no music's ever been exempt from the double standard. You don't have to dig much to find every track Acid Bath ever released. What WILL get your wheels spinning is how many of your favorite bands sound like these two albums. Acid Bath laid the pavement for many great (and many awful) bands we currently love by experimenting with every chunk of gravity and glazing the sound with envelope-pushing, neck-snapping lyrics of the most disheartening order. You'll come back to these songs every time your pusher says "Dude, check out these guys..." You've probably heard the riff before. And it was probably Acid Bath.